Manos Legal Services > Bankruptcy > Are We Seeing a Return to Debtors’ Prisons? Some time ago, I posted a video on my YouTube channel posing the question “Can I Go to Jail for Not Paying Credit Card Debt?” The answer to this question is “no” – if you don’t pay your credit card bill, the lender bank can sue you for money damages, but they have not power to throw you in jail. Only the state or federal government has the power to incarcerate you for not paying debts and the type of debts that could result in jail time include unpaid such obligations as past tax debt, fines due to governmental units, past due child support and other debts owed to governments. Interestingly I get comments on this video claiming that the commentator or someone the commentator knows has been put in jail for common private debt like unpaid credit card bills and other signature loan. It turns out that there is some truth to what my video viewers are saying. Debt collection law firms use the civil court system to collect debts if the debtor will not or cannot voluntarily pay the obligation. Many of these collection law firms file lawsuits in bulk – sometimes hundreds of lawsuits per day. Statistically, less than 5% of defendants to these lawsuits respond and well over 90% of collection lawsuits go into default, which means that no written answer is filed to the lawsuit, or that the plaintiff does not show up in court to contest the allegations. When a lawsuit goes into default, the plaintiff wins automatically and it will obtain a judgment from the court stating that you owe the money as alleged in the lawsuit. Armed with that judgment the plaintiff – now called a judgment creditor – can garnish your wages, seize your bank account and place a lien on your property. This obligation, which was an unsecured debt backed by your promise to pay, has, by virtue of a default judgment, turned into a secured debt, with the security (collateral) being your wages and everything you own. This is why you should never ignore a lawsuit and you should call a lawyer immediately if you are sued. Often, however, the judgment creditor does not know where you work, what you own or anything else about you that would help it satisfy its judgment. In these circumstances your judgment creditor will serve you with post-judgment interrogatories or serve you with notice to appear at a deposition where you can be questioned about your assets and income. Not surprisingly, if you never responded to the original lawsuit or notice of hearing, there is a good chance that you won’t respond to any post judgment discovery (interrogatories, depositions, etc.). This is where real trouble can begin. Judgment creditors know that most debtors will not voluntarily cooperate with the post-judgment discovery process. If you do not respond or appear, the creditors attorney will go before the judge and ask the judge to issue a civil warrant for your arrest. The warrant is issued because of your failure to respond to discovery and appear in court. These warrants go into the computer systems of local police agencies and the next time you get pulled over for a minor traffic violation or are involved with the police for any reason, you will be flagged for the outstanding warrant and then put in jail. The only way to get out of jail is to pay bail equal to what you owe, and most people don’t have hundreds or thousands of dollars available to pay. So they sit in jail for weeks or months. Keep in mind as well that most judgments include a provision adding interest so you may have to come up with significantly more money than you originally owed. The same process can happen if you owe a relatively small traffic fine or fines for other minor offenses. Your failure to pay can turn into contempt of court and then incarceration. 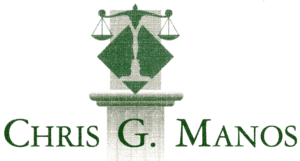 So, while debtors’ prisons do not technically exist in the United States, an aggressive and knowledgeable collection law firm can easily use the contempt power of the civil justice system to throw you in jail for not paying a private debt. It may be tempting to ignore debt you cannot pay with the hope that the creditors will get frustrated and just go away. Unfortunately the collection system in the United States has become very streamlined and very efficient so that your account is not likely to fall through the cracks. The good news is that you have some leverage in the form of the Fair Debt Collection Practices Act, the Fair Credit Reporting Act and the Telephone Consumer Protection Act. You also have the bankruptcy option available to you. These laws offer both debt relief and negotiation leverage. Because collection agencies and collection lawyers work on dozens and dozens of files, they often make mistakes and you can fight back. But if you ignore adverse collection activities and wait until you are sitting in jail to seek legal help, you may forfeit some of your rights and you may not have the time or resources to fully assert your rights. We bankruptcy lawyers may sound like a broken record but here is our advice: if you owe money that you cannot pay, or if you are sued for a debt, don’t guess about your options. Call a bankruptcy lawyer for advice. Most personal bankruptcy lawyers will speak with you at no cost and you are certain to know more when you finish the call than when you start.